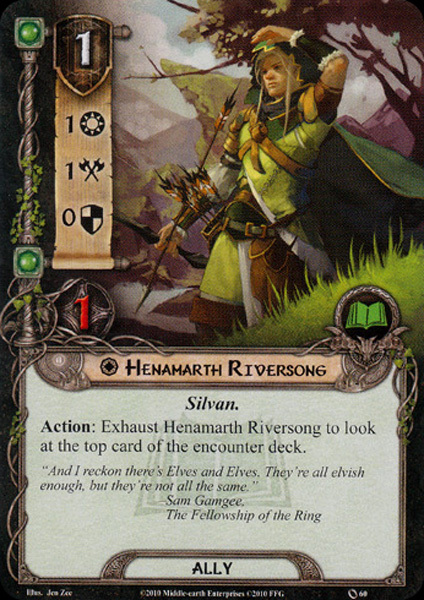 Action: Exhaust Henamarth Riversong to look at the top card of the encounter deck. "And I reckon there's Elves and Elves. They're all elvish enough, but they're not all the same."